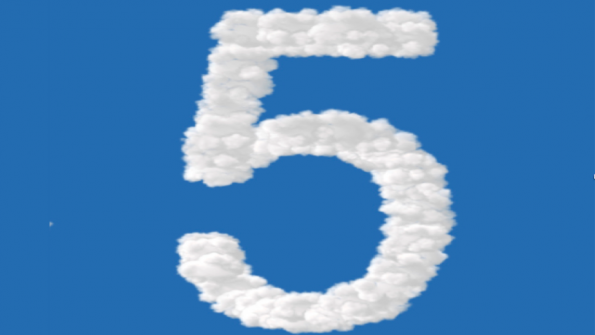 Here's a look at the top cloud computing stories that managed service providers (MSPs) will want to know about, compiled by MSPmentor, for the week ending March 13. MSPmentor has compiled a list of the top cloud computing stories that managed service providers (MSPs) need to know about for the week ending March 13. This week’s column features cloud computing news from Google (GOOG), Cisco Systems (CSCO), HP (HPQ), Salesforce.com (CRM) and My Digital Shield (MDS). Google has announced Google Cloud Storage Nearline, a cloud storage service that provides “quick data backup, retrieval and access.” Nearline features capacity pricing and redundant storage at multiple physical locations and is fully integrated with other Google Cloud Storage services. Cisco and Microsoft (MSFT) have launched the Cisco Cloud Architecture for the Microsoft Cloud Platform, an integrated solution that combines Windows Azure Pack and Cisco Application Centric Infrastructure (Cisco ACI) to help cloud providers deliver hybrid cloud services. The new release offers “the building blocks for cloud providers to evolve beyond traditional infrastructure-as-a-service (IaaS) offerings,” Cisco said. HP has unveiled a technology and services portfolio to enable service providers “to create differentiated services, increase speed and agility and drive business growth.” The new portfolio features open standards-based products and ready-made solutions and services that are specifically designed for service providers. Salesforce has unveiled the Salesforce Service Cloud Intelligence Engine that is designed to fuel “smarter customer service with data science.” Mike Milburn, senior vice president and general manager of Salesforce Service Cloud, noted that the Service Cloud Intelligence Engine leverages data science to improve workflows and business processes. The engine also enables businesses to “deliver seamless customer service across any channel,” Milburn said. Global IT solutions provider Nerds On Site (NOS) will now promote and sell MDS’s cybersecurity offering. MDS has announced a partnership with NOS that could help the Wilmington, Delaware-based security-as-a-service (SECaaS) provider deliver its cybersecurity solution to thousands of small and medium-sized businesses (SMBs).